Brussels — Under the theme “PET 2020 – The future of the PET industry”, the complete branch presented and shared visions on the future of PET and the PET industry. 160 delegates from the entire PET value chain from Europe and beyond convened in Brussels. 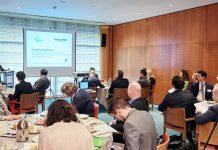 „In all its ongoing activities, Petcore Europe is already well engaged as a significant contributor to the Circular Economy,“ emphasised Patrick Peuch, Executive Director of Petcore Europe, who moderated the event. „PET is one of brand owners’ packaging materials of choice due to its outstanding performance in safely delivering products and its recyclability.“ However, the PET value chain is also facing major challenges that were reflected in the conference debates. From the PET producers’ side, Antonello Ciotti (Vice President of the Committee of PET Manufacturers in Europe) emphasised the reasons why PET is one of the most sustainable packaging materials: beverages and food protection avoiding wastage, resource savings due to light weight, outstanding LCA and carbon footprint, and its full recyclability. He also presented the challenges posed by the Circular Economy, including shifting from fossil to bio-based PET. These challenges will require innovation from all actors and the PET producers are committed to take part in this effort. Nicolas Rivollet (Husky) and Carsten Lauridsen (Faerch Plast) focused their respective presentations on the trends in PET packaging and design, while illustrating past and future developments. „In 2020 we expect to see 5 percent more bottles per ton of PET in a bale of recycled bottles: This results from the combination of the slow to negative growth of carbonates soft drinks, an increased share of low volume formats and resin efficiency gains for a given format,” explained Rivollet. „Small CSD, juice sport drinks & teas, liquid dairy, home, personal care and food packaging currently represent the next frontier for PET: These applications require more engineered PET packages and the number of those packages could double by 2020.“ Lauridsen showed a spectacular vacuum skin packed sirloin with a shelf life increase from 6 to 16 days and a food waste reduction from 34 percent to 18 percent in stores. Finally, leading brand owners outlined their perspective on PET packaging and sustainability. Gian de Belder and Johannes Burghaus (Procter & Gamble) as well as Françoise Poulat (Danone) explained their respective companies‘ sustainability packaging solutions and innovations. P&G presented a range of new packaging such a PET aerosols and its new Head and Shoulders shampoo bottle made from recycled plastics collected from beach clean-ups. Danone emphasised their efforts in using recycled PET, while insuring food safety compliance, using eco-design tools in new projects, and considering bioplastics in the future. During the afternoon session, speakers from the European Commission, the European Environmental Bureau and the Ellen MacArthur Foundation were invited to give an outlook on the future environment in which the PET industry will operate. Focusing on the implementation of a Circular Economy, they emphasised the need for increasing recycling rates and also discussed critical environmental challenges such as marine litter. In this context, Eric Liégeois (European Commission) presented the recently published roadmap for the Strategy on Plastics in a Circular Economy, currently open for public feedback. He emphasised the three critical interrelated issues outlined in the strategy: the high dependence on fossil feedstocks, the low rate of recycling and reuse of plastics in general, and the significant leakage of plastics into the environment. 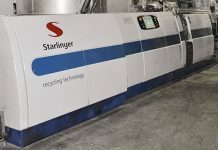 Stéphane Arditi (European Environmental Bureau) insisted on the implementation of deposit systems to encourage consumers to pull together with the industry. „If you want to put responsibility on the consumers, you have to raise awareness by touching their wallets and consider a deposit system,“ Arditi outlined. Sander Defruyt (Ellen MacArthur Foundation) concluded the session with his presentation on the New Plastics Economy, which had been recently presented during the World Economic Forum at Davos, where 40+ business and government leaders endorsed a global action plan on plastic packaging. „Three strategies are needed to transform the global plastic packaging market: fundamental packaging re-design and innovation, reuse systems and recycling with radically better economics and quality,“ he pointed out. From the recyclers’ perspective, Casper van den Dungen (Vice President of the Plastics Recyclers in Europe), clearly emphasised that a lot has to be still implemented to meet the European Commission’s 2025 target proposal of 55 percent recycling rate for the complete plastic waste stream in the EU. PET bottle recycling is best in class today with more than 55 percent recycling rates. 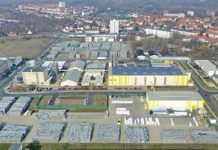 „However, for achieving these overall targets for all plastics and packaging, the most important thing is that the right infrastructure is in place, which is not yet the case,“ he stated during his presentation.